Giving your life a glimpse ahead and putting it fast forward, will show a “death-end”. Nope, not the dead-end of a road, but “death-end”. Death is a subject matter complicated to discuss about, knowing that some people have a sensitive view about it. Some wouldn’t even want to “hear” anything that concerns about “leaving the physical world” and going “somewhere” no one knows “where”. But like the sun that rises from the east and sets in the west, death has to be accepted as a reality in our worldly existence. It is undeniably the eventual destiny of man. It can’t be ignored. It should be accepted as much as difficulties in life should be faced with sheer naturalness. So what is wrong with death? It sounds pitiful after having done much in this world, but, all living things shall encounter their end, sooner or later. Life shall perish at the ends of time. Morbid, isn’t it? But why should we talk about the “end”, the “final”, but why not? Definitely there is a reason why I am writing about “life and death”. 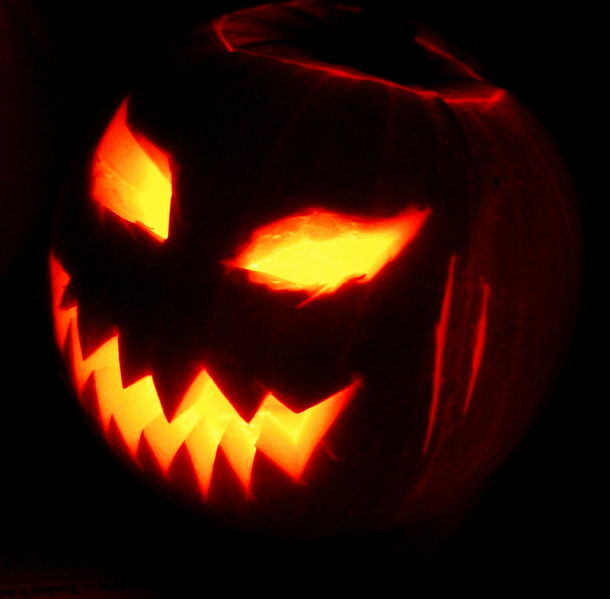 It’s HALLOWEEN!.. Seriously speaking now, death is the worst enemy of man at least some do consider it as being such. But who can avoid it? No one is immortal, unless of course you go to the “dark side”. However, the existence of that “dark side” has yet to be proven, and I doubt whether it can be proven at all. Let’s forget about the “negative” and move on to something “positive”. Okay, let’s hold our horses about the subject matter and return to our senses. We’ve read a lot of stories about adventures of men. The Internet and libraries are full of information about men having accomplished a lot of things, important discoveries, achievements that have turned the fate of this world to good and bad. Men and women who were admired, praised, exalted, who reached greatness in their lives. But despite the greatness in some men, they had also been hated, scorned, abhorred and other descriptive but negative adjectives. The title of this write-up is “make your life the most” is what I really wish to focus on. A lot of people would say, you’ve only one life to live so make the most out of it. Indeed we have to enjoy our life while we can because we are only given one opportunity to live in this world, unless you believe in reincarnation, but that is another point to discuss and it is not what I wish to convey right now. Precisely, not everybody has the same opportunity as the others. Each individual can draw his own destiny and a person could either be successful or unsuccessful in his quest for glory and success. There are cases wherein no matter how much an individual tries, it seems that failure is his destiny, while some had already met success at an early age, because the parents have already built a fortune for the children to enjoy a better future. So, not everybody obtain the same fate…one can end up a loser, another could end up a winner. Nevertheless, making the most of your life depends on the individual. “Life is like an onion: You peel it off one layer at a time, and sometimes you weep”. Indeed, each person has all the opportunities in this world to enjoy. The sacrifices you confront are compensated, the struggles you face will soon find comfort, the life you live will be worth it. Make the most of what you have in life, because the chance to live “only happens once in a lifetime”. UPDATE: Please visit our “On the spot” personality, it is a life struggle that everyone could learn from. Please also check on our latest section “FIL’s in the USA” for some latest news about our kababayans in North America. And our latest news in Fil’s in Europe. Please take a glimpse of the page “Philippines Latest News” which features the new Archbishop of Manila, Luis Antonio Tagle, who has been “tagged” as possible candidate to the Papacy.